The incident took place on Sunday when Dinesh Sharma, the BJP candidate for Dhamnod Civic election, was campaigning door-to-door to seek votes for his party. Dinesh Sharma was campaigning door-to-door for Dhamnod Civic election. 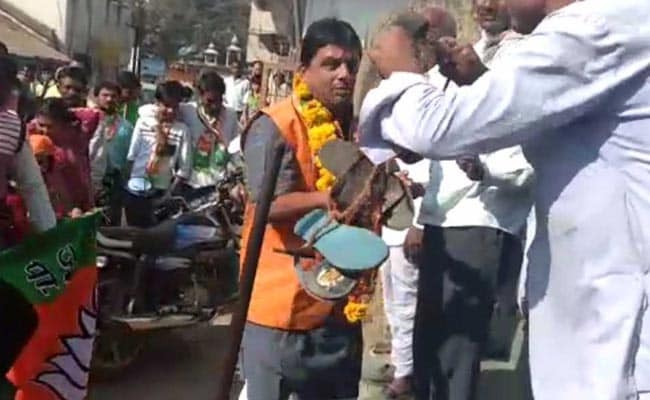 Bhopal: A BJP candidate campaigning for the upcoming civic body elections in Madhya Pradesh was left embarassed after he was greeted with garland of shoes while campaigning in Dhamnod, a town in Dhar district situated around 272 km from state capital Bhopal. "They are one of my own. There must have been something which upset him and he acted like that. We will sit together and talk. 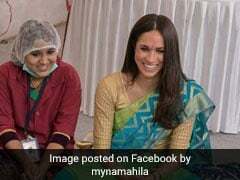 I am like their child," said Mr Sharma reacting to the incident. Video shows Mr Sharma trying to move away when he is approached by a man with the garland of shoes, but he later lets him put it around his neck. The man who made him wear the garland says he wanted to highlight the acute water problem in the region. "There's acute water problem. Had complained about it. Our women went to the then Chairperson to complain but a complaint was registered against them. They were called multiple times to police station even at night. So I did this," he was quoted as saying by news agency ANI. The Madhya Pradesh State Election Commission had last month announced elections and byelections in municipal bodies and panchayats. The commission announced elections for 19 civic bodies, including Dhar on January 17.